Jumpsuit with attached character headpiece. Machine washable.Do not tumble dry.Do not bleach.Do not iron. 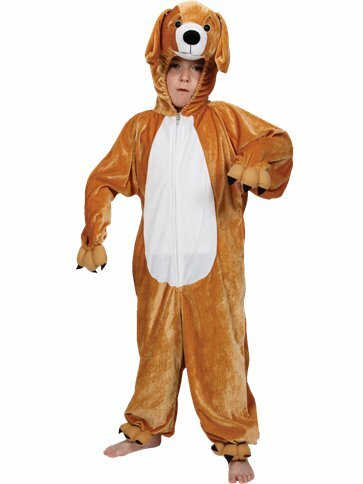 Put your little pup in this adorable Puppy all-in-one costume and see how cute they'll look. Man's best friend will become everyone's favourite in this velour, onesie style suit which comes complete with an attached, character headpiece with zip fastening to front for easy wear.